The mind and soul learn differently. The goal is not just to capture their attention spans. We desire to engage their hearts. Our job here in a child's life is to partner with parents to nurture and train the soul. Interested in being the Children's Ministry Summer Intern? Click here for more Info. During our first service, children birth through PreK are in one class together. K-Gr5 children are in one class together as well. Some kids prefer this varied age dynamic, as well as the contemplative atmosphere the smaller attendance numbers provide. During the second service, we offer a nursery (under two), toddler class (children aged two and three) and a preschool class (four and five year olds). K-Gr5 kids begin together before breaking into grade based small groups . In our Nursery, you can expect a clean and safe environment, baby-accessible toys, music, snacks, and caring volunteers. We want even the youngest church attenders to know that Jesus loves them! Our staffed nursery is provided from the beginning to the end of the services. In our toddler class, you can expect lots of jumping, singing, crafts, imaginative play, giggles, and Bible Stories that always come with Cheerios. 2-5 year olds are dismissed partway through the service, but you are welcome to place your toddler in the Nursery earlier. In our PreK Class, you can expect Bible story telling, and child story listening, because kids at this age have so many important stories to relay, and our volunteers are eager to hear them. Crafts, silliness, music and mess all make up the fun, and we wouldn't have it any other way. We currently use The Meeting House Kids' Curriculum as the teaching material for this class. After being dismissed from the service, our Kindergarten to Grade Five children meet for a large group session where they hear the Bible story. In small groups, divided by grade, kids connect deeper with the lesson through age-appropriate activities. We are currently using the Orange – 252Basics Curriculum for both of these gatherings. Classes meet in our recently built addition - four new classrooms just for the kids! We are currently adding new decorations throughout the year! You can expect to play games, to receive mail, and to pick a prize as a first time visitor/for your birthday! Christina Logan was formally an ECE. She facilitated lots of programs like Mother Goose up in Nanaimo. Now we are so lucky to have her here on the Peninsula and though she now has a government job, she still has a passion for little life. She looks forward to meeting everyone that can come to her circles! The Amazing Race camp is themed around that we are all one, running the same race, with the same God. Held exclusively on the beautiful grounds of FCC, the kids will be grouped by age into different teams, representing a country, and run through a variety of stations such as games, sensory plays, nutrition/cooking, crafts and story time. Through the stations, the campers will experience certain challenges and need to work as a team to come up with creative solutions. Collaboration and inclusion are going to be common pillars of this week. Some highlights of the week are going to be daily leader challenges, learning more about different cultures, crazy fun games and a very memorable closing activity on the last day. Stay posted on our Instagram, @kidzone.fcc, and Facebook, @kidzoneatfcc, page for sneak peaks! This camp is absolutely perfect for kids looking to have a blast, make new friends, overcome challenges and learn more about how loved they are by God. Adventure Camp has been a staple here at FCC for the past four years. And each year it gets even more exciting. The basic theme behind this camp is to get out and do new things, going offsite almost every day. 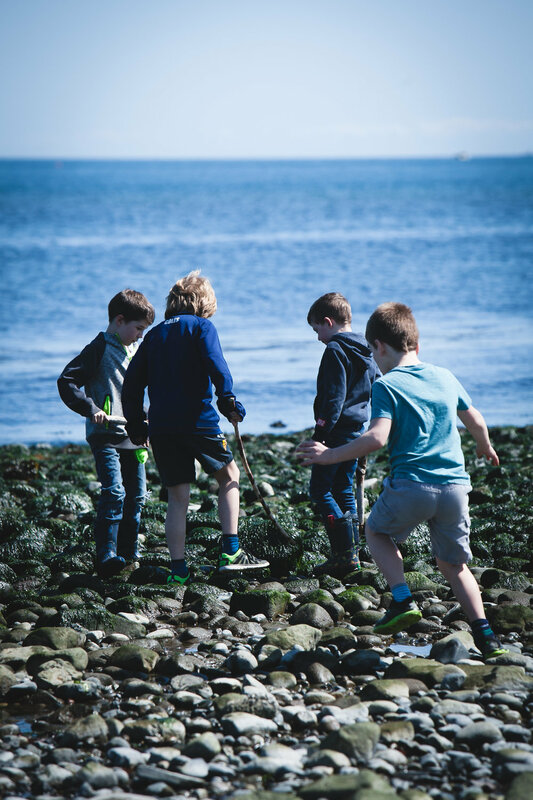 In past years, we have gone hiking, swimming in both the ocean and the pool, tractor rides, scavenger hunts in Sidney, Wildplay….who knows what crazy things will happen this year! Exploration, adventures and trying new things are highly encouraged here. All photos on the Children’s Page taken by Nellie Quail of Thread Design.